TUCSON, AZ (KOLD News 13) - The Tucson International Airport is looking for local artists or an artist team to create artwork for 2 different spaces inside the building. 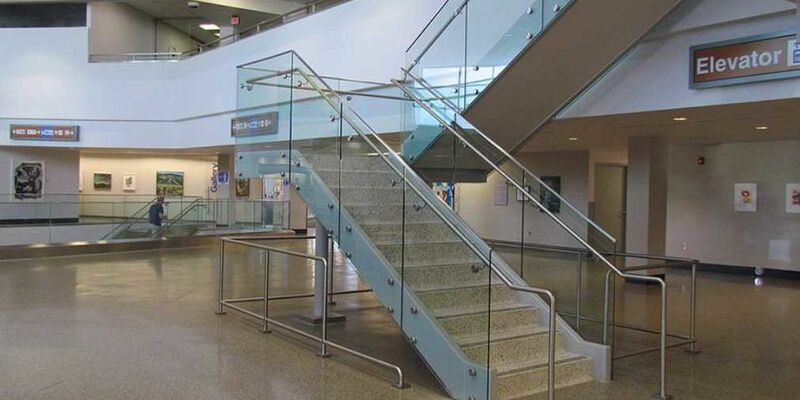 The project is called the center staircase and security bollard visual improvement project. The submission deadline is Thursday, April 18 at 2 p.m. Written copies of the CTA (Call to artists) are available by contacting Sylvia Granillo at 520-573-4821 or sgranillo@flytucson.com. The CTA contains the instructions, terms and conditions, forms, and other information relating to the CTA, including, but not limited to, the selection criteria to be used by the selection committee to select the person or firm to perform the services, information regarding presentations, and the number of contracts to be awarded. A pre-submission conference for the project will be held at 10 a.m. on Wednesday, March 27, 2019, at the TAA Administrative Offices, 7250 S. Tucson Blvd., Board Room, Second Level, Tucson International Airport, Tucson, Arizona 85756. At this conference, TAA staff will discuss the scope of services, the selection process, and respond to questions about the CTA. The pre-submission conference will also include an opportunity to visit the sites of the proposed services. Artists and artist teams are encouraged to attend the Pre-Submittal Meeting. Questions regarding this CTA should be submitted in writing to Kathy Myers via FAX (520) 573-8008 or e-mail at kmyers@flytucson.com no later than Wednesday, April 10, 2019 by 3 p.m.